This week I am launching a new ironing service to households and businesses around our local area. 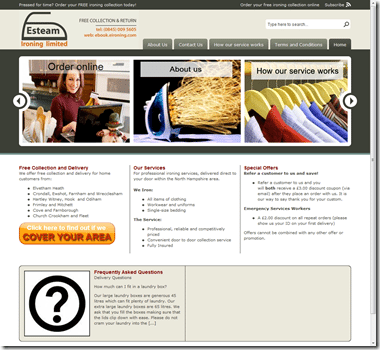 Esteam Ironing Limited was borne out of the desire to provide professionally ironed laundry for those who prefer to do other things with their time than their ironing! I see myself as an entrepreneur, and this will be the third company start-up that I have worked with since incorporation, not counting those start-ups that I consult with. I know my other small business colleagues will understand the frustration of ironing when you’d rather be getting on with working on your products and minding your own business! Well, now there’s a service that will let you do just that. Customers can have their laundry professionally ironed and finished for less than the price of a take away pizza, with free collection and delivery. Unlike our competitors we are unique in the market, instead of a price list for each item of clothing or charging by the kilo of laundry, you simply fill up a box with as much laundry as you can, we then come and collect it, iron it and deliver it fresh to your door within 48 hours. And, we can provide all this much cheaper than all of our competition. What about Evolved Software Studios? 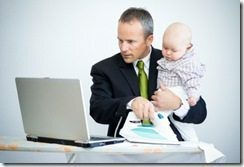 Running a Software business and Ironing too? Well, yes and no. Read on! That a smaller business with a personal service (don’t confuse with IR35 please, mister taxman if you’re reading this!) can look after our customers better and respond to customer need much faster than a medium or large business could. That it is better to be a Micro ISV, a true software products vendor, than to purely consult on services. It scales better. So here we are several years on where the predominant income stream for Evolved Software Studios Ltd is in the intellectual property of products and bespoke technology that drives our customer’s businesses. It is not in high value consulting, although we still provide consultancy services. So what’s this got to do with Ironing? Getting your ironing done should not be about calling an ironing lady who comes and collects your laundry and irons it and brings it back to you. Such ironers, although I commend their entrepreneurship, often lack the proper investment behind them, they lack adequate facilities, insurance, equipment, and a business process. Esteam Ironing Limited is the Micro ISV for the laundry industry. We provide a simple and easy to use product that can be bought online. Not a bespoke service that requires complex individual order customisation or our customers to weigh or count their items. Simply fill a large box at home and book and pay for your free collection online. Great value and great service. It’s that simple. From the very start I’ve implemented a straightforward business process and used automation and information technology tools to track and process orders. This means we that we spend less time and money on administration and more time marketing and looking after our customer’s ironing. We use Google Checkout for online order processing so that our customers receive instant e-mail receipts for their orders and pay up front for their ironing, this prevents us going out to hoax or time-wasting orders. Our bank has a low charge (free to 50p/£100) for handling electronic payments so we avoid the big bank charges for handling cash at the branch, and since we don’t handle cash we save more time and are safer on the road. We avoid having to spend time on generating invoice receipts as we have a simple “pay per box-load” product, and Google Checkout issues our e-mail receipts for us. Back in April I started a 30 day challenge, to build a web based service to allow software vendors to receive statistics from their desktop software, however feedback from the first batch of users it suggested that what was really needed is the ability to manage all their customers, products and orders online and to accept data from many different payment providers and to collate all the information onto a single Customer Relationship Management website. Well, that’s what I’ve been working on for the past few months and a more official announcement and details will be following soon. Suffice to say that the “alpha” version of this new, refined, service will be in use with eIroning.com. It will receive “postback” requests from Google Checkout and allow us to build up our database of customers automatically and to help us stay in touch and be more informed. I am integrating this new CRM package to FreeAgent Central, an excellent new Web 2.0 accounting service so that any new orders directly feed into our accounting software, automatically creating the necessary customers, projects and invoices. From start to finish the ordering process from a customer will be automated. Our accountant will check over the accounts periodically, but the day to day book-keeping will be largely automated, just the way I like it! 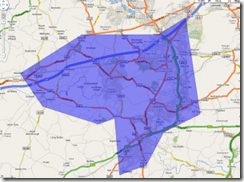 The observant amongst you might have noticed that our business model lends itself very well to franchising. Indeed, I am looking for potential franchisees and/or local ironing workers in the surrounding area. If you are interested in working with us, please use the contact us form over at Esteam. Did you enjoy my article? Please leave me a comment below! I doubt your crazy. In fact, if history is any guide at all, a service such as this can indeed do quite well even in critical economic climates. The last recession, for example, here in the early 90’s saw mobile car detailing take off and the whole mini franchise thing for everything from pet grooming to massage. Thanks for your comment about uptake of certain micro-industries. Indeed, I heard on the BBC recently that a massive uptake in champagne and smoked salmon sales has historically been an indicator of poor economic conditions as the upper middle-class start to celebrate more birthdays at home, rather than eating out. My pricing at pizza-levels is no co-incidence either. Dominos Pizza here in the UK reported substantially increased profits during the credit crunch. Ironically, because people are ordering take aways more often than eating out. So while traditional restaurants might be suffering, the take away is booming. We know the net effect is decline, but I don’t think that every product and service and every industry will be in decline this year. Let’s see! If let you know how it goes. Even if the business fails I’ll blog about it. Hey, best of luck. Sounds like a great idea if you can make it profitable. I’ll let you know how it goes. How’s your own 30 day challenge going?